Welcome to our website! We your premier real estate expert in Port Clinton and we are here to provide you with all the resources and information you need to buy or sell real estate. 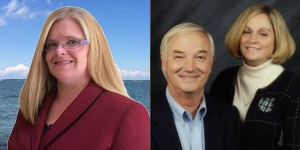 We work with buyers and sellers in Port Clinton, Lakeside Marblehead, Oak Harbor, Sandusky, Put In Bay and and we have had extensive training in the latest real estate strategies. We are confident that we can offer you knowledge and tools most other agents can’t. Take a look at our website, to see some of the great tools we have to offer. Our names are John Rader, Kathy Rader, and Patricia Rader. We are local real estate professionals serving Ottawa County, Erie County, and Sandusky County. We have lived in the Lakeside Marblehead and Port Clinton area for over 15 years. Our family lives in Lakeside Marblehead and we are excited about living here. We enjoy the people, seasons, culture, and many outdoor activities to us. Whether you are buying or selling, we understand the process can often be challenging and complicated. We focus on taking the pressure off you, so you can make a clear and concise decisions throughout the process. Ultimately, a “successful sale” is our main goal and we utilize our expertise to make that happen for you. When selling your property, we use system-based models alongside technology, to make certain your property reaches qualified buyers. We’ve taken the traditional role of real estate agents and turned it around, by focusing on creative techniques to market your property and develop negotiating strategies to make your sale a success.